Hello everyone. Just wanted to take some time to catch you up on our happenings. First off, yard treasures. 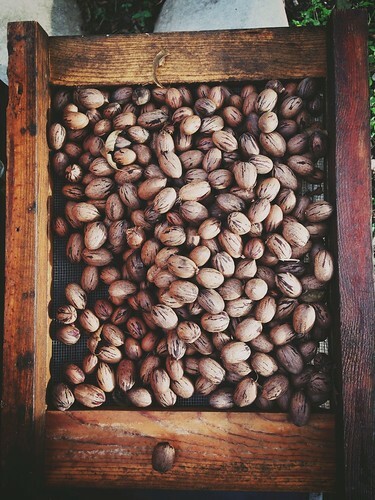 This past year we had an amazing pecan crop when many others didn’t. 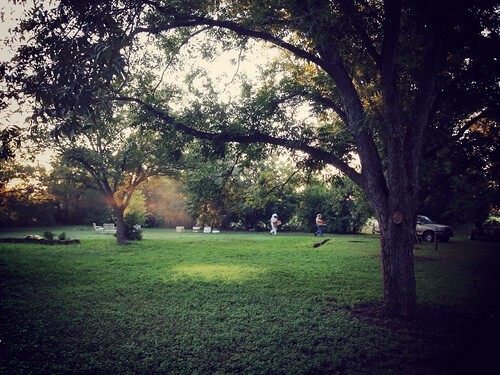 Between bee work, candle making, construction and living life, Mark and Tang picked up pecans. We had a little help from family visits and a LOT of help from our dear friends, Mr. & Mrs. Savior. Boy, that man can climb trees still and he is up there in years. I was very little help really as the cedar has been trying to hurt me as it does every year about this time. After harvesting the pecans, we took them in batches to Brookes Pecan of San Antonio. They did a great job for us and while we wait for the final total, it looks like we are either first or second in terms of hauling in the most pecans, measuring by pounds brought in and shelled. Whoa! That’s pretty cool. At this point, I can safely say it was over 1,000 pounds. Exact number coming soon. 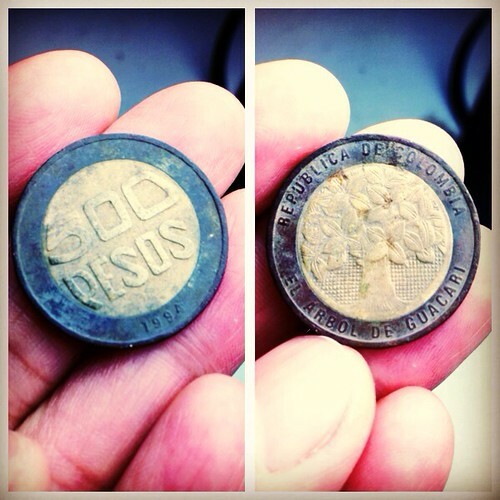 Here’s a second yard treasure for you (pecans being the first) – Colombian coin in the yard! It’s so pretty. I love the beautiful flower tree on one side of the coin. It’s the tree of life, which is what one of our ornaments is named! Meant to be, I tell you. So neat to find little treasures, both edible and not. In construction news, we are happy, worried, anxious, eager, and all the other emotions that people must feel when they are spending a ton of money to build a dream. There’s always something unexpected though not always bad, so that’s nice. It’s good we’re near the end of building because we’re also dwindling away funds and while we did set aside funds for this, it’s still a little scary, right? 🙂 Keep us in your thoughts and prayers, please. We can’t wait to get in the building so we can see how far our journey will continue to take us. 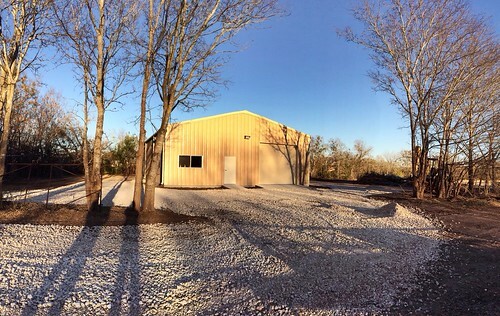 We have power; we have concrete landings; we have some landscaping dirt and gravel; and we have a builder ready to finish out the inside. Ahhhh!!! There’s still more landscaping work to be done but it looked so wonderful tonight when I walked out back to see the progress made today with fill dirt and gravel. It’s going to be so wonderful when it’s time to move into it! What a joy it will be to work in all that space and to have the things you need better organized. One more shot regarding building and construction and things you have to do to make the City happy. Such as build a sidewalk in front of your place of business. This one deserves a post at a later date so for now, I will leave it at this…the men were out front researching and figuring how to meet requirements and also not have to take out the lovely trees at our entrance. We’ll keep you posted. Finally, I will share a one of the pictures I got from Tang and Mark as they check and feed bees. 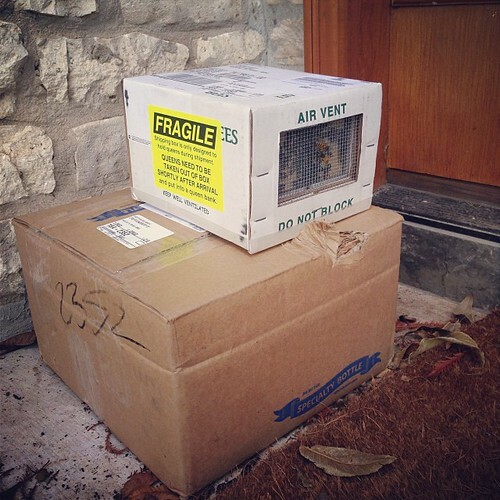 This is the first batch of drone brood for the season and it’s exciting because it means the hive is starting to grow and that’s always a great thing. It’s a sign of good health. Yay bees! Quiz time: What else do you see in the above picture that is noteworthy? These are ready for markets this weekend although the ornaments are wrapped and stored for our big holiday rollout after we finalize packaging and labeling. Yay! 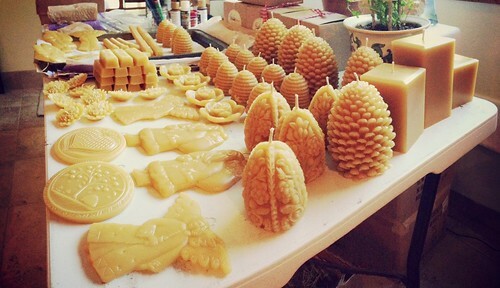 Besides hand-pouring all these lovely beeswax candles, bars, blocks and ornaments, Mark’s been on a tight schedule to clean up from harvest season, treat and requeen all hives and make progress on the Honey House project. Finally got some engineers who speak the same language so we are super please about that. Thanks to our good friend Thomas for his help in reviewing all the plans and proposals and catching some things that helped us out a lot! 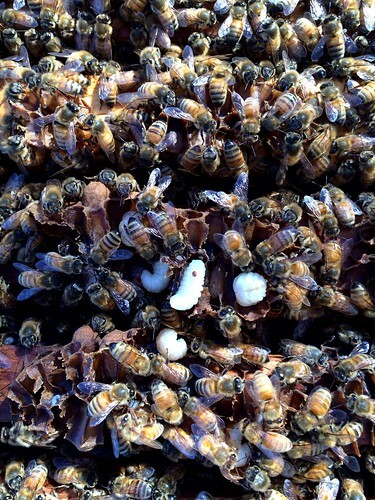 Check it out – more queens! Mark is really trucking along on Project Requeen Every Hive before mid-October. Good job, love. Unlike the last back of Olivarez queens (they came around 7:00pm), this box was waiting for me when I got home for lunch, which is really nice to be able to do almost every day. My day job is about 7 minutes from home. Pretty awesome. Anyway, so far so good on the requeening. 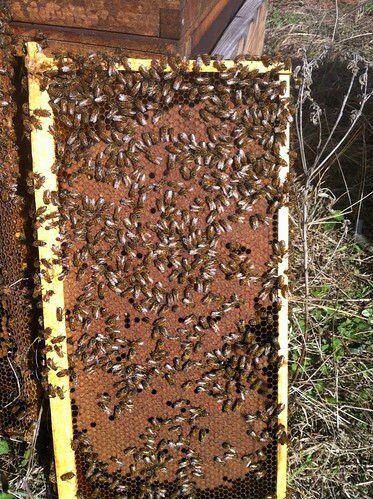 Things are going very smoothly this year and the direct introduction method is working very well with our hives. So glad Mark read about it on our friend Emily’s bee blog and then followed up with the researchers. It has saved Mark a lot of time and energy. Speaking of excited – the report for the JW Marriott bee yard is fantastic. Mark went there this morning and was thrilled to see all the hives were doing very well. 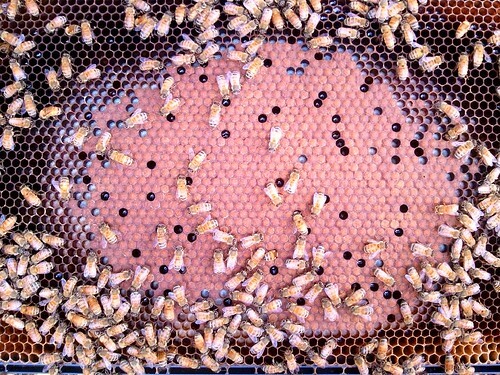 That’s a frame full of beautiful brood from one of the hives. You may recall that we lost four out of five hives out there at the Marriott last year so we are really happy they are thriving this year. You never know from year to year which yards will do well. Historical performances don’t always act as the best indications of how well a bee yard will do the current year. It all has to rain and what’s been blooming for the bees. 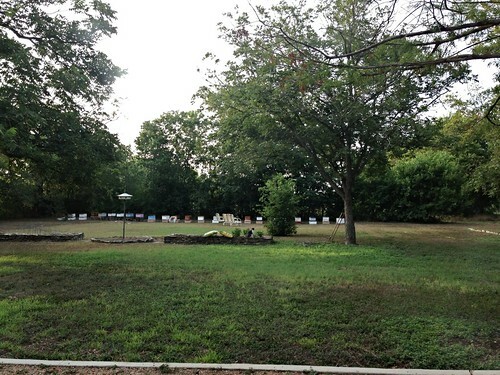 No rain, no blooms, no protein = two bee yards moved out to new locations this year. You have to watch the hives and if they are not doing well, you have to help them and in our case, Mark moved them to areas that seem to be getting more rain this year. In both instances, the colonies made progress within a week or two of being in their new yards. That’s always a good feeling to know that you’ve helped them in some way. They do so much for us. One last thing, I miss seeing all our new divides out behind the house. We still kept a few teaching hives as well as the queen bank out back but this week, Mark and Stan completed their move of the new divides to their permanent home. They have been developing quite well and we hope they will make it through winter just fine. You don’t really know what 2014 will be like for them until spring, when we can see how they managed. 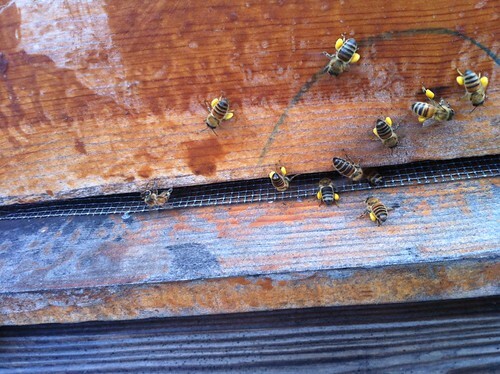 But these bees have been building up their honey stores and carrying pollen like crazy so those are great signs. It’s raining on and off here this afternoon and that’s also a great sign. A wet fall and winter would do wonders for next season’s crop. Let’s keep our fingers crossed, shall we? Here’s how it looked when we had a full house not too long ago. Our friend Beth asked what a drone looks like so I thought I’d show y’all a picture. This big boy was at the Coyote bee yard and he is conveniently close to the female workers so that you can see the size difference. He’s seriously big. 🙂 It is warming up nicely these days here in Seguin. Today was in the mid-70s and tomorrow will be in the high-70s and Mark said they are starting to build up drone cells in the hives now. That’s par for the course for the spring so we shall see if we have any more cold weather left. Today Mark and Pete fed and treated bees in the Deadman Creek bee yard. Some hives look great while a few looked subpar. There’s just not much in bloom out at that bee yard at this time for the girls so we’ll have to hope they make it. Mark will likely combine some of them to strengthen them a bit. Tomorrow, Mark and Lan head out to Comanche Creek to check on and tend to the girls. Wish I could go with them! What a lovely sight to see. As a matter of fact, I have several lovely pictures to share with you this week. 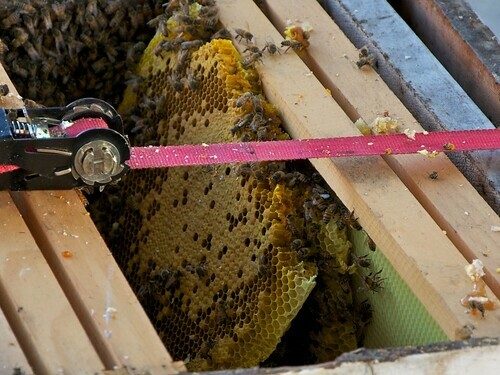 The above shot is from Mark’s visit to the JW Marriott this morning – good job bees! Nothing looks nicer this time of year than to see bees coming back in with both pollen baskets full of beautiful pollen. It’s amazing what a boost that will be for them as they have already started building themselves up in preparation for the honey-making months to come. We actually got a bit of rain last night and this morning – a quarter of an inch according to the rain gauge. We will take it. Every little bit helps. The bulk of the storm cell just missed us but as long as some of the areas around the yards got rain, then we’re happy. 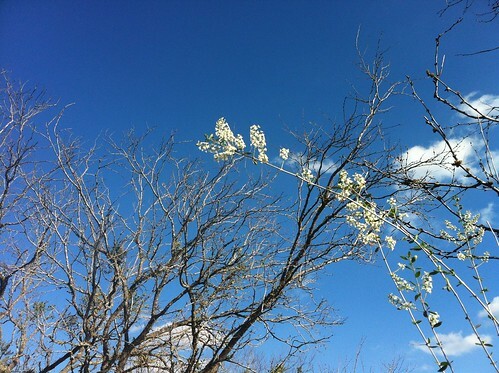 Below is a picture of bee brush Mark snapped at the Elm Creek bee yard the other day. Gorgeous blue sky on a sunny, cool day. Can’t beat that in Texas this time of year. The bee brush is a lovely scent and blooming pretty much everywhere right now and the bees love it. Again, we are thankful to see the great food source in bloom for our the bees. 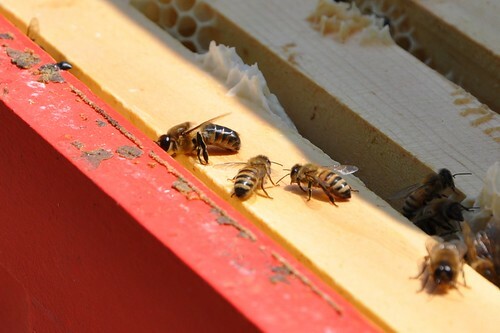 Every little bit of protein they get means stronger, healthier, more robust hives. Speaking of robust, look at this Big Oaks frame of brood! Incredible. 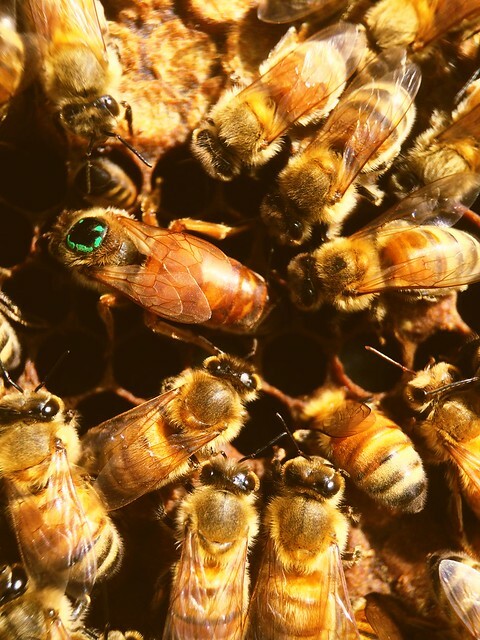 I couldn’t believe how packed it was and I was so happy to see it as it means the queen is gearing her colony up for spring and honey-making. While we are thrilled to see all of this, it’s a constant worry that the bees continually have enough protein out there to keep them going. 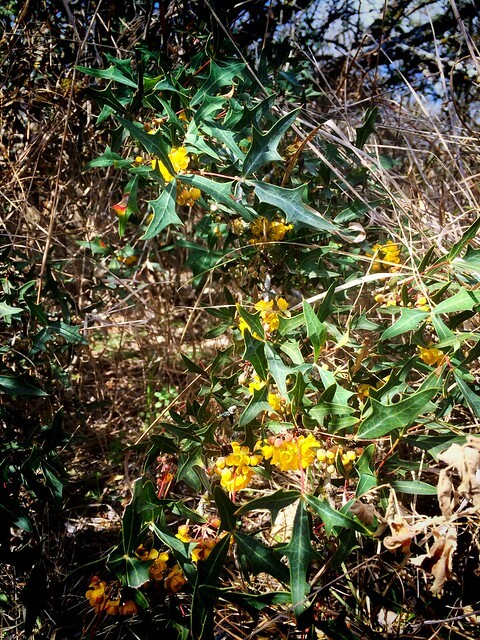 We have also seen the Huisache in bloom as well as the wonderful wild mustard that got us through the 2011 drought, when nothing else was out there for them to eat. In other news, we received a letter from the City saying we were officially annexed February 1. 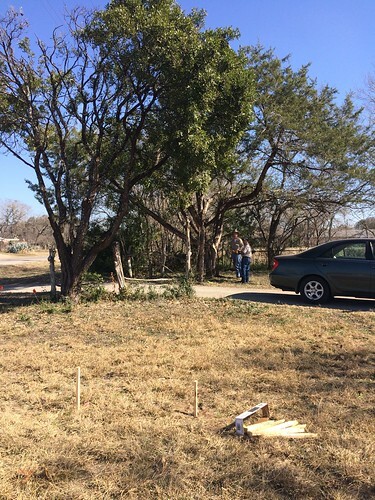 We continue to figure things out to try and move forward with building the Honey House. Mark continues to pour candles between doing everything else that needs to get done. By the way, we got new molds in for some colonial tapers – six inches of lovely wax. We decided to try it after talking with our brother-in-law about his Revolutionary War lantern replica. He uses the six inch taper and next thing you know, Mark ordered the molds and here we are. We are test burning four different wicks and so far so good. 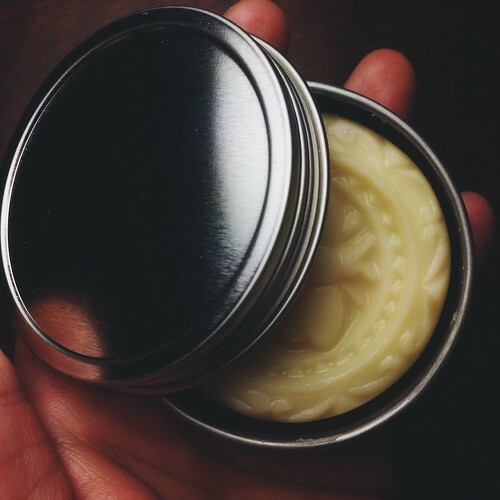 We love a dripless candle and soon, our testing will be done and the candles will be available for purchase. That’s about it for now. Heading to bed and then we do what we do tomorrow. Hope you are all having a great week so far. It’s on the down slope now! 🙂 Wait, as soon as I wrote that I realized that Friday is no longer what it used to be for me since Saturday and Sunday are our wake-up early, work-work-work days. lol I have to find a new Friday! Okay. Goodnight. That’s a Nice Frame for January! Is that a lovely frame to see in January? Why, yes it is! 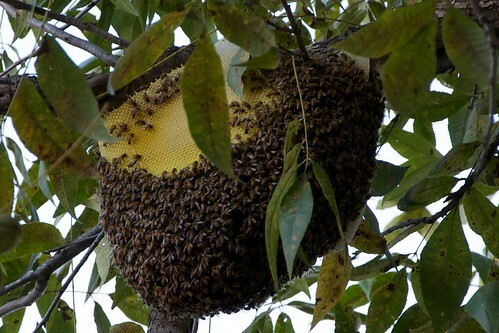 This was one of the hives at the Big Oaks bee yard and Mark sent the picture to me from the yard when he checked on them a couple of days ago. I thought this was one of the most perfect frames I’d ever seen – so lovely. Note the cells of honey on the edges – ready for feeding new bee babies. 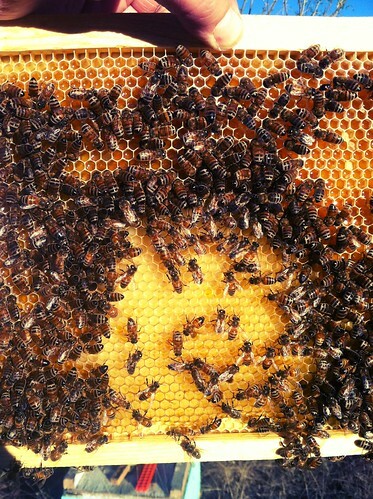 And the center of the frame is being readied to receive a good laying queen. Now all she has to do is give us some good little bees. Today Mark went down to Runge to check the bees there. A lid was off one of the hives – who knows how that happened but the bees were fine inside so he got them straightened out and back on track. A few of the hives needed some feed but overall they are looking good also. This makes my beekeeper very happy and hopeful for another great year ahead. This good rain we got will also go a long way in helping the bees build up for the spring which will then take them into the honey production months nice and strong. Well, we are off to finish up the Spurs game and then to bed we go. Pearl market is early and then Quarry on Sunday. We hope to see some of you at the markets. 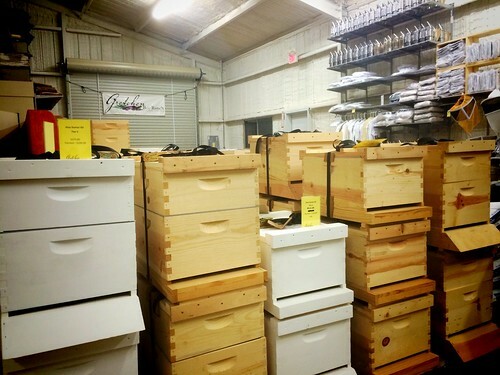 We’ll have plenty of honey and candles restocked and ready for you. Sleep well. 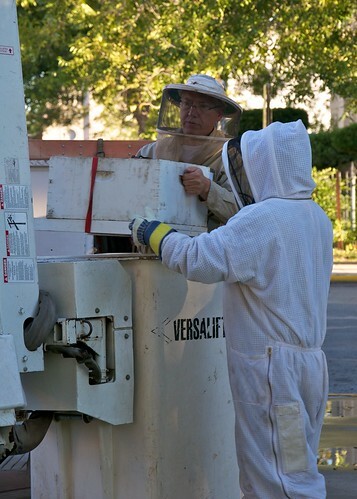 I think you know what I’d say when my beekeeper asks, “Want to go with me and get some bees in a cherry picker?” That’s what we did early this morning on Seguin’s square downtown, just behind the courthouse. 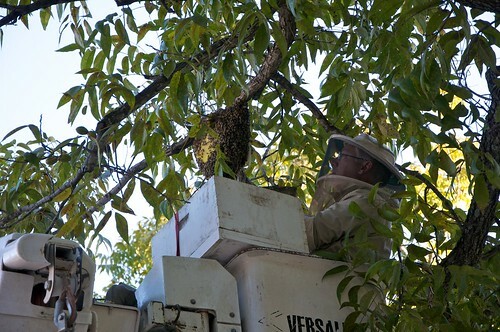 There was a wild hive that had formed on a pecan branch high enough not to bother anyone but not so high that officials didn’t worry they MIGHT bother someone. So…off we went on another beeventure. 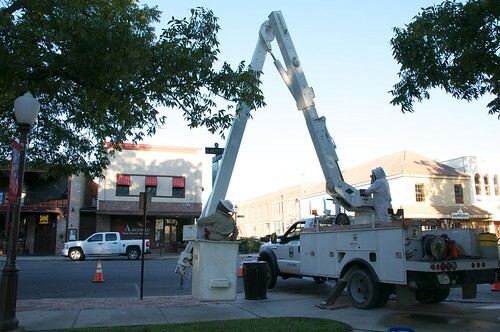 Don’t forget, Mark used to work for the City of Seguin so he wanted to help his friends out and besides, getting to ride the cherry picker must be fun! Sadly I did not get to go. Maybe one day. I’ve never been in one! I’ll put it on my bucket list. After cutting about four sheets of comb off the tree and setting them into the box, Mark brushed the remaining bees off the limb and came back down to Earth. 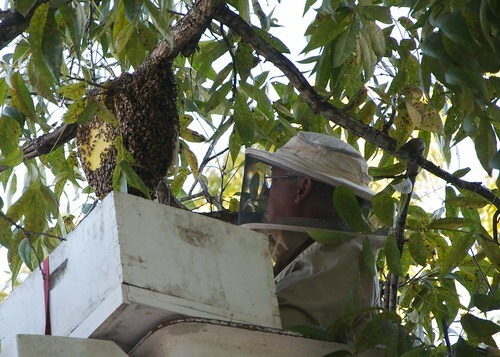 He and Val worked great together and I thank Val for getting my beekeeper safely up and down. The bees were then taken to our Deadman Creek bee yard and we’ll see how they do in their new home. They were quite gentle and Mark said he hated cutting them down but the first good rain would have likely killed them anyway since their home was totally unprotected from the elements. How odd of them to build out in the open like that. If you would like to see the full set of photos of our beeventure, go to Flickr and see some of the shots I snapped. We loved our little beeventure before we both got busy with our other work. I shall leave you with this – left to their own engineering, the bees made this perfect honeycomb with the perfect brood cluster in the center and then the cells of pollen and honey and edged with store, capped honey for later. They are so amazing!